Fig. 2, The standard tone frequencies for tone dial systems. 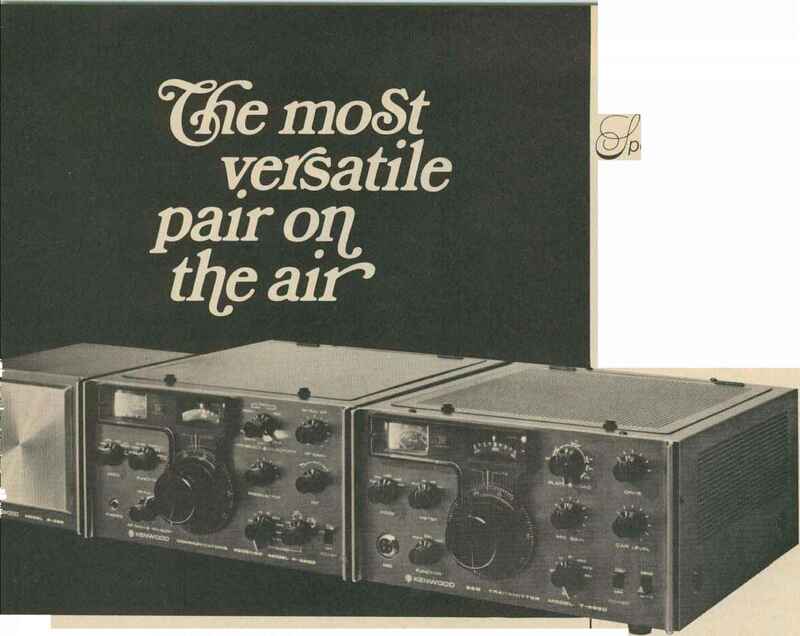 The Kenwood "Twins"...all of the advantages of separate units... PLUS! Kenwood developed the T-599D trans^ mitter and R-599D receiver for the most discriminating amateur. The R-599D is the most complete receiver ever ofiered. It is entirely solid-state, superbly reliable, compact and features a handsome new look. It covers the full amateur band, 10 through 160 meters, CW, LSB, USB, AM and FM. The T-599D is solid state with the exception of only three tubes, has built-in power supply and full metering. It operates CW, LSB, USB and AM and, of course, is a perfect match to the R-599D receiver. Compare the specs of the R-599D and the T-599D with any other brand. Co mpare their performance and prices. Remember, the R-599D is all solid state (and includes four filters). Your choice will obviously be the Kenwood.